Dr. Johnson and his dental team offer a full range of services for patients of all ages. From preventative dentistry including sealants for kids and total gum care for adults, to cosmetic and restorative procedures like tooth whitening and tooth-colored restorations, to porcelain veneers and crowns and implants. We're here to provide you with the best of everything...because we believe you deserve it. You are in good hands. 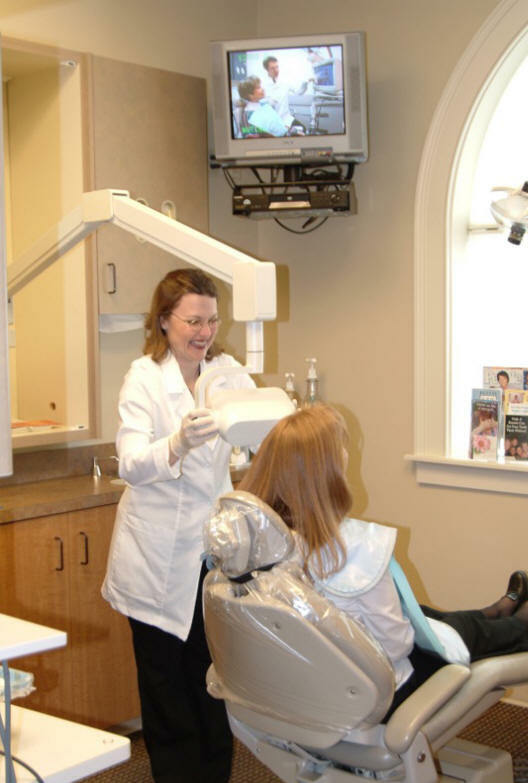 Vist our Procedures page for descriptions of the various dental services we offer. Your first visit to Dr. Johnson's office begins with a personal touch. We will listen to your individual needs and desires, and then we take you on a video tour of your current dental health conditions. Clinically, we review your medical and dental history, we include blood pressure screening, cancer screening, x-rays, digital photographs and gum measurements. Then, you and Dr. Johnson will decide together the best strategy in obtaining your optimum oral health.